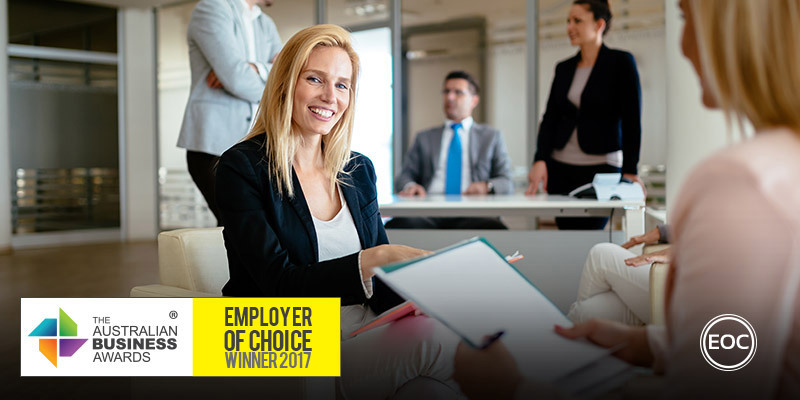 Diona has been recognised as an Employer of Choice in The Australian Business Awards 2017. “I am proud that Diona has been recognised as an Employer of Choice by the Australian Business Awards 2017. Diona comes from humble beginnings as a small family business started by my father John O’Connor in 1980. His philosophy for success was based on the mantra ‘anyone can win with an ‘A team’, but true leaders find the talent and drivers in all people to build ‘A teams’. “The culture instilled in Diona is one where people are treated like family, nurtured and cared for while identifying individual talents in each employee. The Diona philosophy includes doing the right thing by their teams and individuals so that in return, employees do the right thing too. “More than anything else, it’s about mutual respect and shared values. After 37 years in operation, and now part of the Calibre Group, I am proud to say we have maintained our small business culture. I have a team of people around me that are tenacious and humble, and our sleeves rolled up attitude at every level of the company means that no-one is above any task. Diona people feel safe to share their personal vision and trust the business and their leaders to support them in achieving it. We talk about ‘aligned destiny’ where helping employees realise their aspirations also delivers results for the business. “The ‘open door policy’ at Diona means absolute transparency. All aspects of what makes the business successful are communicated including goals, measures and achievements, as well as being honest and open about disappointments. David sees honesty and transparency as a business philosophy which fosters growth both for individuals and the business. “Lastly, but probably most importantly, we endeavour to make Diona a ‘fun’ place to work. We try to make our workplace as enjoyable, inclusive and rewarding as possible. Our calendar includes plenty of social activities such BBQs, soccer matches, team building, etc. and we encourage everyone to take part in networking, training and other events both internally and externally. If our people can feel part of a supportive team, which helps them to reach their full potential, they will always put their best into everything and find enjoyment in a job well-done. Congratulations to the entire Diona team, this award is a credit to each of you”. Diona is an infrastructure civil engineering specialist with services that encompass every aspect of utility design and construction, asset creation, management, and renewal across multiple utility streams. Founded in 1980 with a vision and a single backhoe, Diona has grown to become one of the most respected civil engineering contractors on the East Coast of Australia. Operations now span across New South Wales, Queensland, South Australia and, most recently, Victoria.